Dr. Timothy Seto was born and raised in Calgary. His treatment philosophy is to customize a dental action plan for each child with the ultimate goal to reduce a patient's long-term dental burden and to create a family mindset that good dental health is achievable. Dr. Ivana Chow was born in Hong Kong, raised in the U.S. and has made Calgary her home. She is fluent in English and Chinese (Cantonese). Dr. Chow believes that a smile - a simple yet impactful gesture - can open a world of opportunities for an individual and she is committed to help others achieve a smile they can be proud of. As parents of a 5- and a 2-year old, they are kept busy by their kids but they are thankful for their children, who always remind them not to take the blessings in life, whether big or small, for granted. 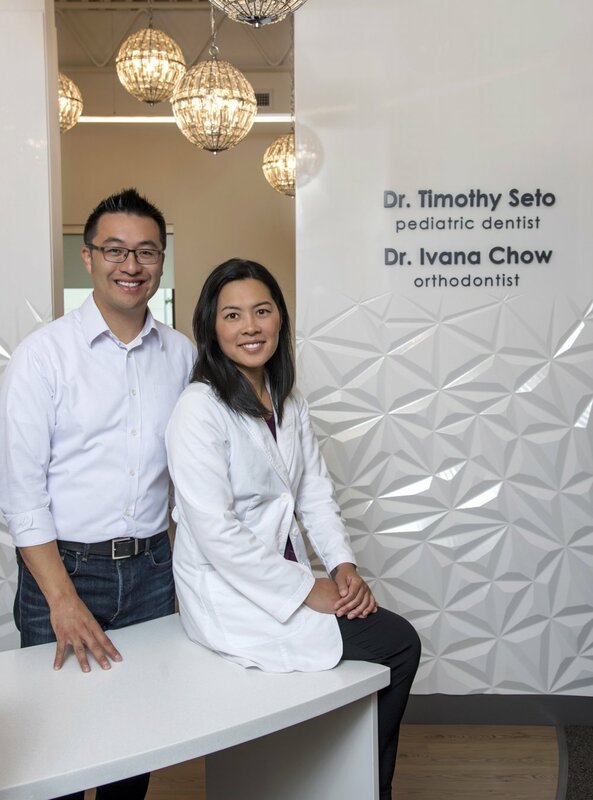 Dr. Tim and Dr. Chow enjoy the children-friendly environment Calgary has to offer and they look forward to growing with all of you over the years. Through committee-standardized written and oral examinations, Dr. Tim Seto is recognized as a Board Certified Pediatric Dentist in Canada [FRCD(C)] and in the United States [Diplomate]. He achieved a standing of Top 3% among all candidates in the American Board of Pediatric Dentistry written qualifying exam in 2008. University of Pennsylvania, School of Medicine - Doctor of Dental Medicine, achieved a standing of Top 3% in the 2005 graduating class (based on all 4-year accumulative grades). Through committee-standardized written and oral examinations, Dr. Ivana Chow is recognized as a Board Certified Orthodontist in Canada [FRCD(C)] and in the United States [Diplomate].